Earn money for our school through Rewards Programs! 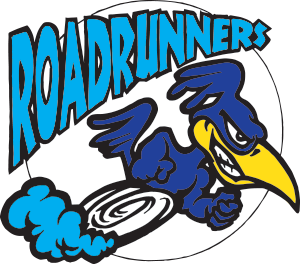 Below you will find a lot of information about the rewards programs that the RF/CC PTO participates in. Refer to it throughout the year as you collect and save items for our school. Don’t forget to spread the word to family members, friends, neighbors and coworkers!! Thank you for supporting Robert Frost / Challenge Center! If you have ideas of additional rewards programs that we can participate in, please let us know! Turn your “trash” into CASH for our school! Keep clipping the Box Tops for Education labels on products you use every day! Get your kids involved by having them trim up the labels and glue or tape them on collections sheets found at www.boxtops4education.com. Want to practice counting? Have your kids count in various groupings to make 50 and put them in a bag or envelope. 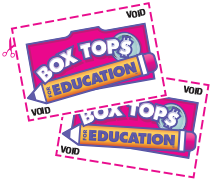 The website also has tips on how to get bonus Box Tops through specials on products and specials in stores. Place student’s name and classroom on sheet or bags of Box Tops – we do keep track and have prizes for those who participate! Check for expired labels. Some people will cut the label off the package right after purchasing in order to get it turned in before they expire. We do not get paid for expired labels. The Box Top collection bin is in the entryway of the front doors. Kids can bring to class and teachers either have a collection spot in their classroom or they will have students take to the main collection bin. “Like” Robert Frost Challenge Center PTO on facebook to be informed of submission deadlines and other Box Top tips. Thank you for “Clipping” for our school! Our goal is to collect $1000 through the Box Tops program for the 2018-2019 school year. The codes can be found inside the plastic bottle caps or inside the cardboard carton on 12 or 24 packs of cans. Each code is worth anywhere from 3 to 25 points! You can drop the codes in the collection bin near the front entrance of Robert Frost / Challenge Center. All items can be sent to school with your child/children. Collection bins are located just inside the front door and teachers also collect items within the classrooms. Thank you again for supporting Robert Frost / Challenge Center and its students!! !